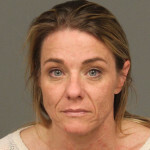 San Luis Obispo County Sheriff deputies arrested a Templeton woman Thursday for allegedly dealing methamphetamine from a car she parked in front of the Tree Man Nursery on Ramada Drive. At about 1:30 p.m., deputies received a report that a woman was selling drugs from her car. Deputies arrived and discovered Lisa Noelle Stemper, 45, parked in front of the nursery. Inside Stemper’s car, deputies found more than two ounces of methamphetamine along with cash and drug paraphernalia. Deputies booked Stemper into the San Luis Obispo County Jail on charges of possession of a controlled substance for sale and for being under the influence of a controlled substance. Can your doctor help you die in California? After checking in with the local Board of Realtors, Chambers of Commerce and the hoi polloi at the Kiwanis club breakfast, The Tribune will not be running this story. The Tribune will wait for some random Mexican to be caught with 1/100th the amount and run a feature series for which they will nominate themselves some stupid prize in journalism. I wish this woman a better journey in life, and I hope she finds a place in herself: one where she feels good enough about herself to got to bat for her own life. Many on here just roll off the insults behind a façade on here. When hiding behind fake screen names-it is too easy to not be a human being. But not just a human being; a human being who still cares for other people and demonstrates that with dignity. My mother told me back in the depression, that everyone would take people into their homes during those years–feed them–and their children too if necessary. No one went hungry and uncared for, and folks didn’t wait for the government to get around to doing anything–they just reached out and took care of one another. Because…that is what you do when you see someone hurting. This country has lost that-and they lost it a long time ago. Day in and day out, I professionally see people who are addicts and shut-ins and depressed….they are ill because they long for human-ness–caring–compassion. When life runs over you like a Mac truck and you fall in life—it is the ones making fun of you in the local paper that are truly demonstrate what a cancer apathy is. Dealing meth should be a capital offense. Example please of exactly how “drug companies promoted meth use. This should be good. Actually, meth is still marketed in various forms by virtually all pharmaceutical companies. In fact, prescriptions for desoxyn (meth) have been on the rise for quite some time, and interestingly black-market dealers keep managing to get their hands on VERY large quantities of this substance. And don’t forget all of the other add/adhd meds (amphetamines) parents are ever-so-forcefully encouraged to shove down children’s throats for behaving too much like children. To be fair, though, some studies have come out against there being a positive link between prescribing these meds to children and the development of substance abuse disorders later in life. Of course, others say a link does exist. Today’s rebound of the heroin epidemic is partially rooted to the irresponsible marketing and distribution of the opioid painkillers oxycodone and roxycodone. It was estimated that for a while more than half of the produced supply of these meds somehow managed to end up on the black market. Max, you can’t be serious. If so, all the doctors and big Pharma should also be hung in the gallos for getting people addicted to opiates. Until our stupid politicians look at drug addiction as a disease, we will get nowhere. Go back to issuing traffics tickets. Drug addiction is not a “disease” It’s a choice. Are you sure you don’t have that backwards, Mr. Beeblebrox? Disease is a cop out. Don’t start, don’t get addicted, period. Sad to see. She looks tore up from the meth. What she needs is help. Addiction is an illness, which doesn’t just go away without 1) a strong desire to quit and 2) some form of treatment. Hopefully she will find both before the meth takes her. Another black eye for the once prominent North County Stemper family. First, there was the bankruptcy of Eagle Castle Winery where local investors lost their money. Then there was the Robert Clausen/Brenda Stemper Clausen case where land was misappropriated from a 99 year old woman in Templeton and Clausen was sentenced to a year in jail, and now we have alleged drug dealing in front of the Tree man Nursery. Classy comment from a reader hiding behind his nickname. What is the gain for piling on? Did your parents really give you the name of “Black Copter Pilot” on your birth certificate? Chapter and verse please. I would hate to think that Ted is neglecting his studies of scripture. “Piling on”? More like laying off. Citizen just scratched the surface. Take a look at the NIblick Bridge development deals and Stemper fleeing to Canada. How about employees tax withholding be held by you know who and not payed to the state. The fruit does not fall far from the tree. Wineries sue the contractor also. Black Copter Pilot. This is a development/investment family. There are many in the North County–maybe you remember Kelly Gearhart, Karen Guth and Josh Yagudin, Candy Wells–all good citizens and prominent families in the beginning. Many North County residents lost their life savings investing with these people, and some of these convicted criminals have returned from jail/prison and are back in Paso and connected to businesses. Look up Robert Clouston (sorry for my previous misspelling). Templeton was almost “developed” by this family who stole the prime property(forged the owner’s signature) and got financing on it.They got caught red handed and still claim it was just a misunderstanding. The gain for piling on is to remind people to research who they invest with and not simply trust “prominent” families in the North County. Now for the Wells deal she is back in town and just under two served out of 5 year sentence for a 7felony charge , her daughter has learning all the tricks of the trade while the mother has been locked up!!! Did your parents ever teach you about kicking someone when their down? This is not some politician, this is a family. Hey man, I can get good deals on strawberries and oranges at roadside stands, why not meth? By the look of her mug, she could have fooled me.